These are actually a VERY quick knit and there's no good reason why it took three weeks to finish. These are for my new niece/nephew who will be born on August 9th, if not before. 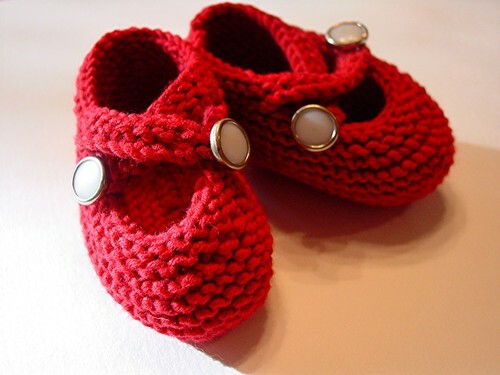 My intention is for him or her to wear these home from the hospital -- I just love the idea of "first steps" taken in beautiful, hand-knit w/vintage buttons, red shoes!